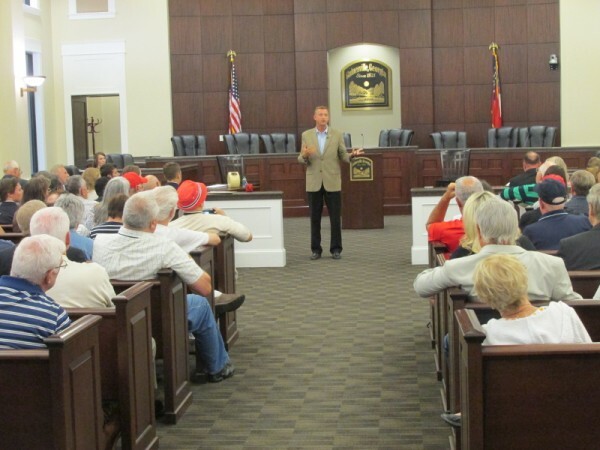 GAINESVILLE – Ninth District U.S. Representative Doug Collins packed the house Wednesday evening; in fact, house security (Gainesville Police) had to turn away approximately 80 attendees because every seat was taken. 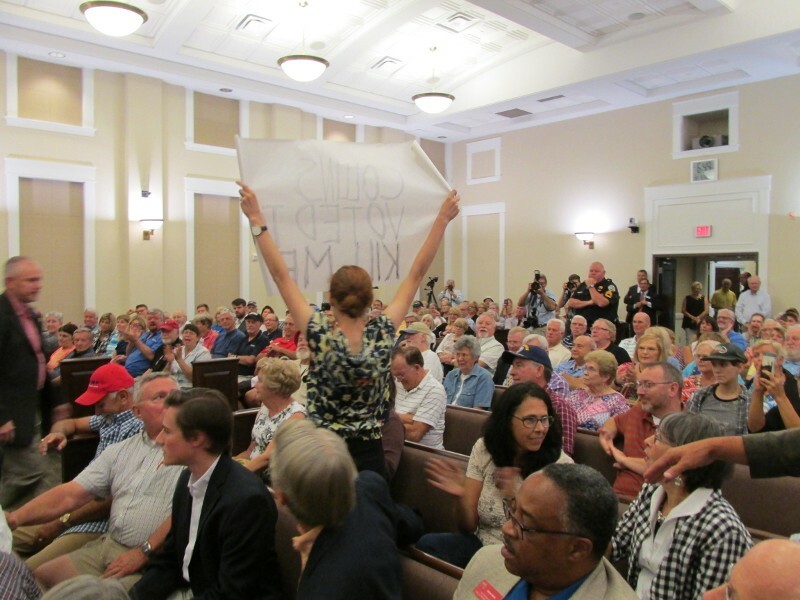 No, it wasn’t a concert, rather it was the first town hall meeting of the abbreviated August recess for the third-term Republican congressman from Gainesville, and voters were ready to speak to their congressman. 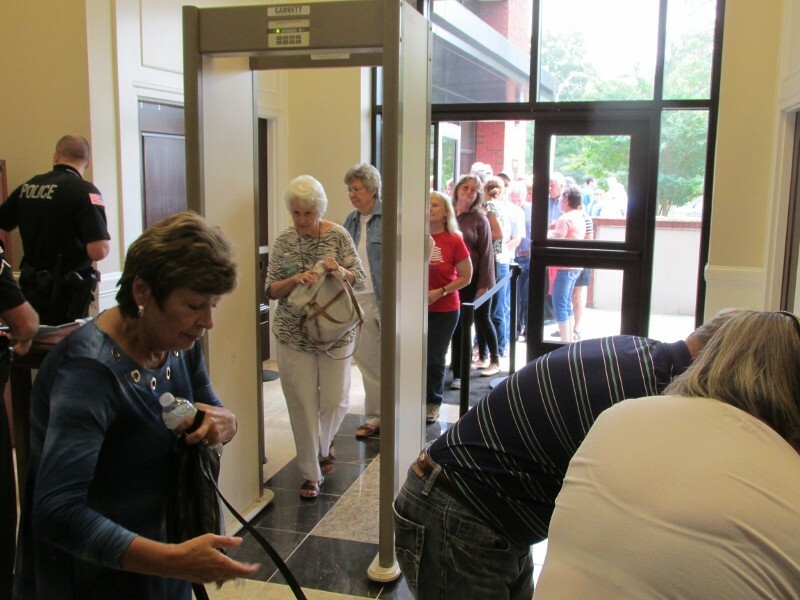 “People in the 9th District take their politics seriously,” one Collins staffer said as people passed through the metal detector leading into the courtroom at the Gainesville Public Safety Center. Fifteen-minutes before the meeting began, Gainesville Police determined the seating capacity had been equaled and told those still in line that no one else could enter unless someone already inside decided to leave. Light rain began falling on those queued outside the main door but few left, hoping against hope that someone would leave and they could take their seat. Collins answered nearly 40 written questions, submitted prior to the meeting by those in the audience. Topics ranged from healthcare to term limits to North Korea and the Russians. And of course, there were questions about Donald Trump. “Do you agree with the “Tweets” Trump is using for policy?” question #16 asked. Despite light-hearted exchanges like that, it didn’t take long for tension to build. Twenty minutes into the event Collins found himself being shouted down by a dozen or more members of the audience when fielding a question about repealing and replacing the Affordable Care Act. Collins sat down, crossed his arms and waited until the catcalls subsided. “At this point in time you may or may not like my position. That’s fine,” Collins said as he rose from his chair. “But I’ll also tell you yelling at me is not going to change my position,” he added. Applause filled the room, but that did not deter the detractors. Ten minutes later it happened again, with one unidentified woman leading the stentorian onslaught. Across the room a man shouted out, “Be quiet lady! We’ve come to hear him, not you.” Again the room erupted in applause. One of the more serious moments of the evening came when Collins was asked about the showdown with North Korea and its leader, Kim Jong-un. 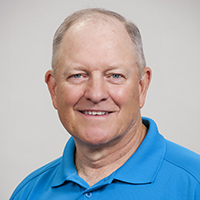 “It’s a major issue. Basically you have a petulant child running a country,” Collins, a Major in the Air Force Reserves, stated. Ninth District U.S. Representative Doug Collins packed the house Wednesday evening; in fact, house security had to turn away approximately 80-attendees because every seat was taken. ​The newly reconstructed railroad crossing at Georgia 8/U.S. 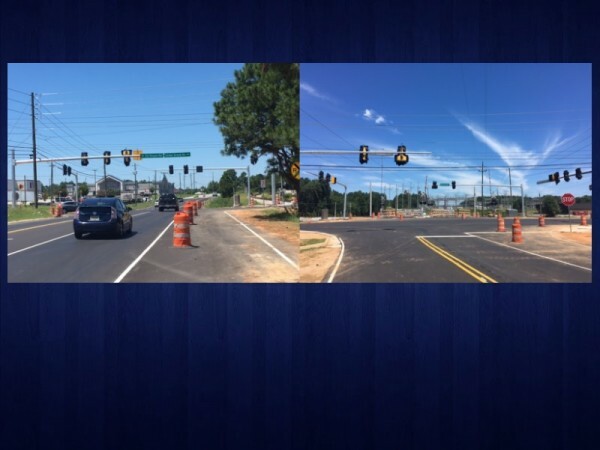 29 at Ed Hogan Road near Winder is expected to open to traffic Thursday. 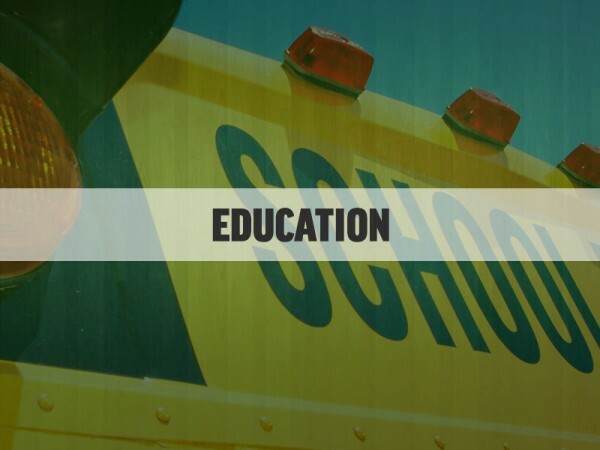 Of the 31 Georgia schools that made this year's list of "America's Healthiest Schools," 15 of them are in the Hall County School District.